Would you like to inform people about their driving behaviour, increase road safety, save fuel, and get people to their destinations faster? Rent one of our simulators. Green Dino rents out various types of driving simulators. These driving simulators are easy to use and can be rented for one or more days. The simulators can be equipped with various programmes, such as the New Driving, Alcohol Simulation, Driving style Test Training, and Distraction. Ideal for safety days, conventions, open days, and more. 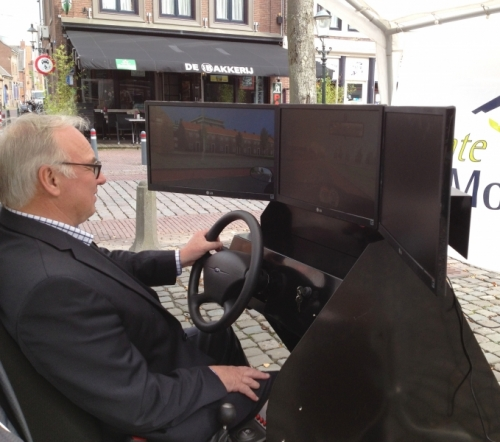 The Drive Master driving simulator immediately shows drivers what the effects are of driving according to New Driving. This driving style saves fuel, the driver arrives at their destination faster (time gain), and if New Driving is applied, people drive safer. The New Driving can be provided with healthy competition. Many people think they can still drive after having a bit too much to drink. This alcohol test shows the consequences of drinking and the reaction speed to traffic in a safe way. The participant drives on a track for a predetermined time with a chosen alcohol percentage or a drive in which reaction speed to unexpected events is measured. The weather conditions and traffic activity can be chosen beforehand. The reaction time measurement gives insight into how quickly you respond to unexpected events. There are also driving style trainings available to improve reaction speed. Generally speaking, drivers are very pleased about their driving style. However, every year there are many accidents that could have been prevented if involved parties had better insight into their driving style and the potential risks of their respective driving style. An appropriate aid is a regular driving style training, which is mandatory for truck drivers since 2009. Driving style trainings are popular among the elderly who (are forced to) see that their skills are deteriorating. It is also good for younger drivers to regularly critically examine their driving style. Young beginner drivers (ages 18-25) have a risk of accident 4 times higher than that of experienced drivers (ages 30-58) (source: SWOV 2007). 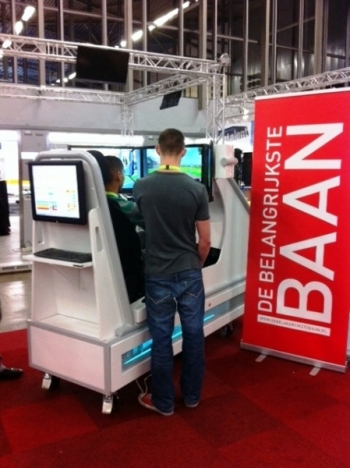 A Driving style test & training can be done with our driving simulators. Research by the Delft University of Technology shows that our simulators are suitable for objectively grading driving skills and predicting a heightened risk of accidents. Afleiding door het gebruiken van je mobiel zorgt ervoor voor dat je belangrijke informatie mist om je veilig in het verkeer te kunnen bewegen. Bewustwording en ervaren door dit veilig uit te proberen op een van onze rijsimulatoren. Mandatory field Verification question* Please add 3 and 5. 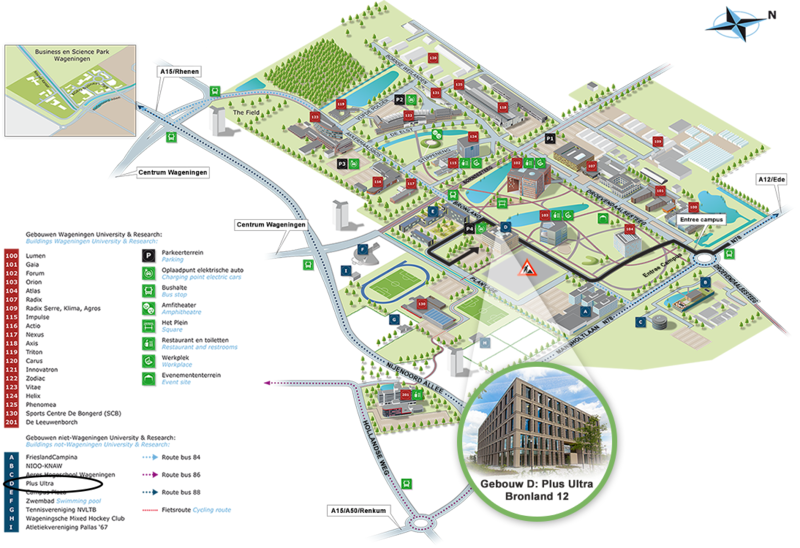 For new business contact, please contact Jorrit Kuipers or Andrea Poelstra.